Connecting your security system to Google enables voice control. Linking your Nest Secure home security system with Google Assistant is very easy and once done, instantly enables voice control. Here's how to do it. First, open up the Google Home app and click on the hamburger icon in the top left corner (the three horizontal bars). Click on "home control," which is a few items down in the list. 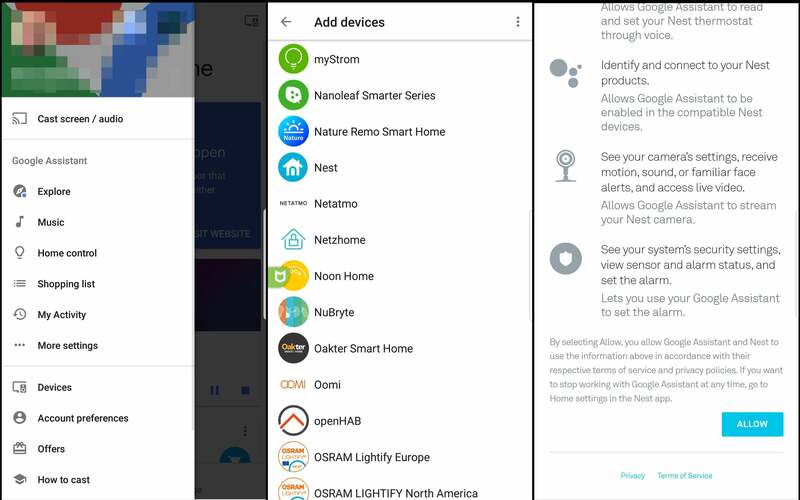 The screen will change to show all the smart home devices currently linked to your Google Home account. Click the plus button in the bottom right corner and scroll through all the smart home brands until you find Nest. Click on Nest. At this stage, you might be prompted to sign into your Nest account. The app then brings up a list of permissions you are granting to Google Assistant. Click "allow" at the bottom and in a few seconds the two accounts will be linked. You can now ask Google "What's the status of my security system," and you can instruct it to "Set security to away." You can also issue a "Cancel security" command, but only if said a few seconds after arming and only if it was armed by voice. Otherwise once armed, you must disarm with a Nest tag, a security code, or the Nest app.